University of Georgia Press, 9780820345444, 272pp. 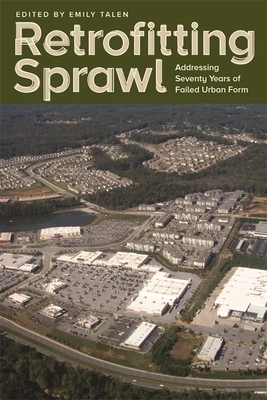 These twelve previously unpublished essays present innovative and practical ideas for addressing the harmful effects of sprawl. Sprawl is not only an ongoing focus of specialized magazines like Dwell; indeed, Time magazine has cited "recycling the suburbs" as the second of "Ten Ideas Changing the World Right Now." While most conversations on sprawl tend to focus on its restriction, this book presents an overview of current thinking on ways to fix, repair, and retrofit existing sprawl. Chapters by planners, geographers, designers, and architects present research grounded in diverse locales including Phoenix, Arizona; Seattle, Washington; Dublin, Ohio; and the Atlanta, Georgia, and Washington, D.C. metro areas. The authors address head-on the most controversial aspects of sprawl--issues of power and control, justice and equity, and American attitudes about regulating private development. But they also put these issues in practical contexts, bringing in examples of redesign that are already occurring around the country, including the retrofitting of corridors and the repurposing of cul-de-sacs. Whether fixing sprawl requires a "cultural shift" in thinking or a "coordinated effort" by local government, these essays testify that a combination of forethought and creative thinking will be needed. EMILY TALEN is a professor in the School of Geographical Sciences and Urban Planning and the School of Sustainability at Arizona State University. Her books include City Rules: How Regulations Affect Urban Form and The Charter of the New Urbanism.